Zip pocket on left breast. 2 lower zip pockets. Hidden zipper closure. Waist with elastic in laterals. Elastic ribbed cuffs. 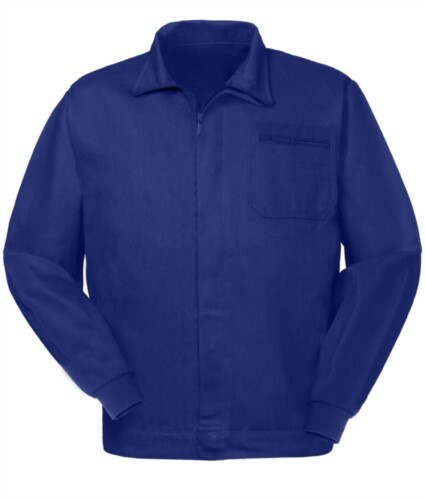 Dear friend, I suggest you this article: HIDDEN FASTENING JACKET ; You can find it on the web at: https://www.castbolzonella.it/scheda.asp?content=.